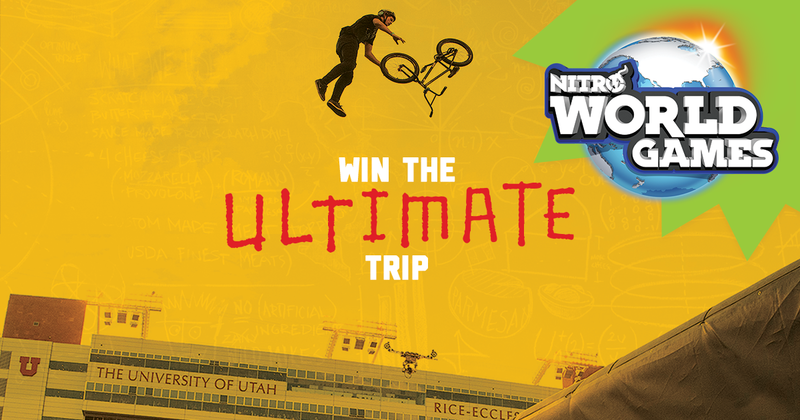 Wild Mike’s Ultimate Pizza is a nationwide frozen pizza company that can be found in school lunch programs and the frozen pizza aisle of several major grocery stores. 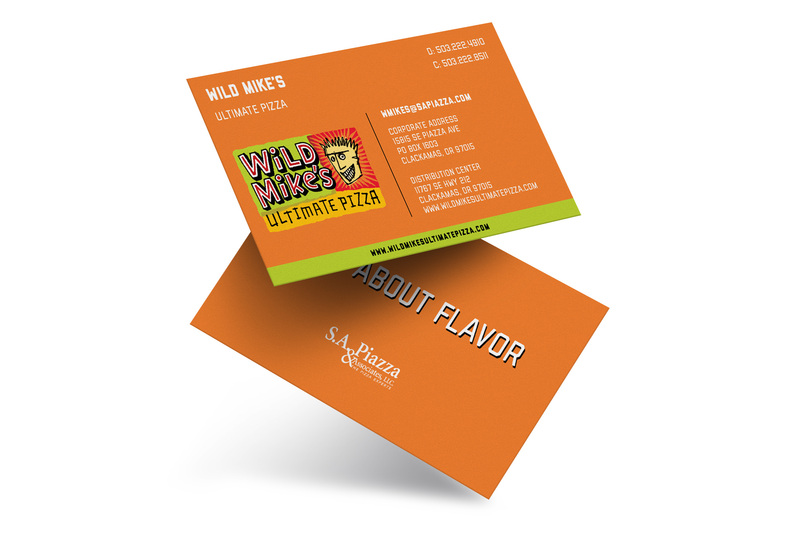 Wild Mike’s came to Eris with a logo, a pizza box design, and a lofty goal to be one of the most recognizable frozen pizza brands in the industry. 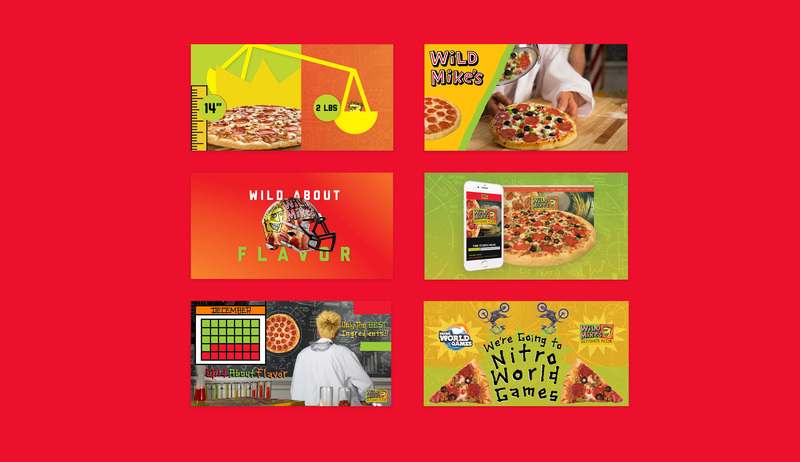 Eris and Wild Mike’s have worked together to get Wild Mike’s pizzas in some of the most prominent grocery stores and supermarkets across the U.S.
Wild Mike’s and Eris worked together to create a website that would build brand awareness, encourage sales, and answer some of the most common customer questions. We carried this same strategy over into social media and other forms of advertising. Most customer concerns revolve around the pizza’s ingredients, which stores to find them in, and how to interact with the brand. Certain elements on the site, such as the store locator, were implemented to help customers find information about the brand and products on their own. 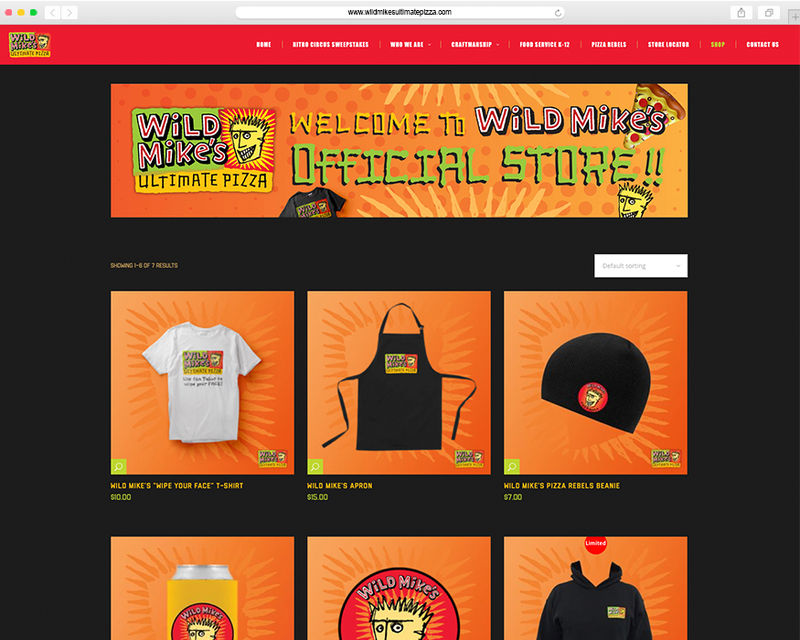 Customers are able to purchase Wild Mike’s swag from the online store and can learn how to become part of the Wild Mike’s fan club through carefully designed pages on the site. Pizzas don’t just magically show up in the frozen pizza aisle. 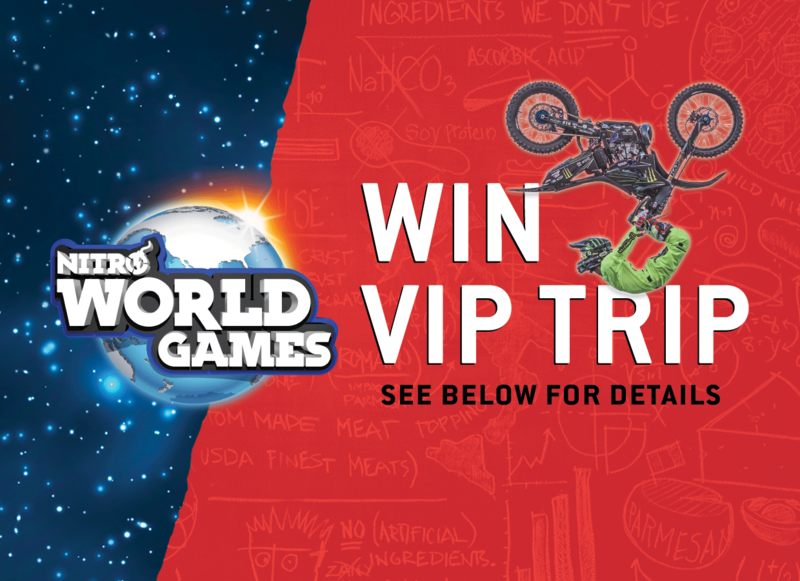 Wild Mike’s has a team of dedicated sales professionals who do their own form of marketing to get the products on the shelves. 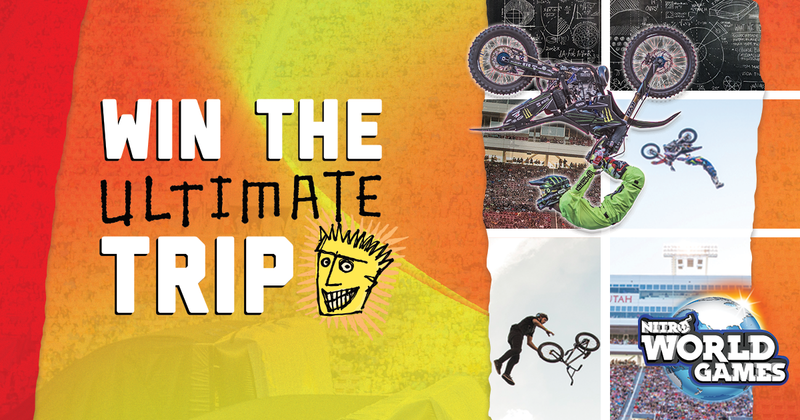 Eris partnered with Wild Mike’s to design comprehensive presentations, posters, and selling documents for the Wild Mike’s sales team. 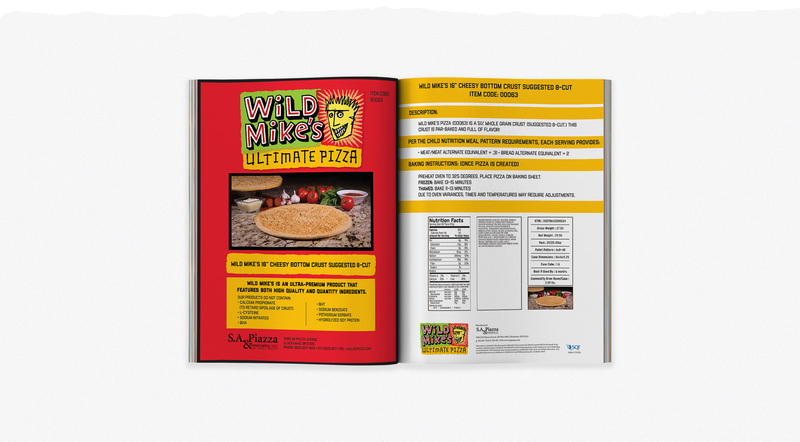 These print and digital marketing items allow for the Wild Mike’s team to spread brand awareness and educate consumers. 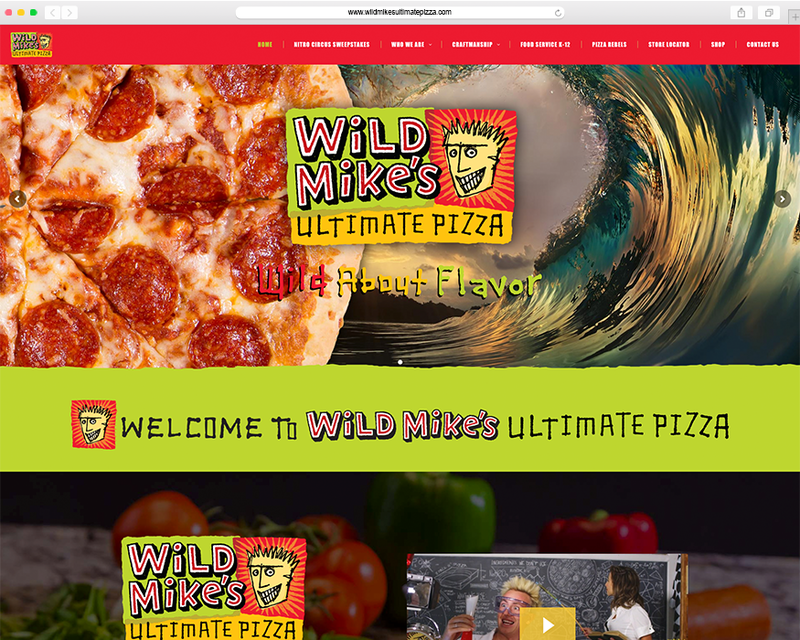 Wild Mike’s has a bold brand with a face that’s hard to forget. Eris helped Wild Mike’s make sure its brand would always stand out with perfectly placed logos and carefully crafted identity elements. 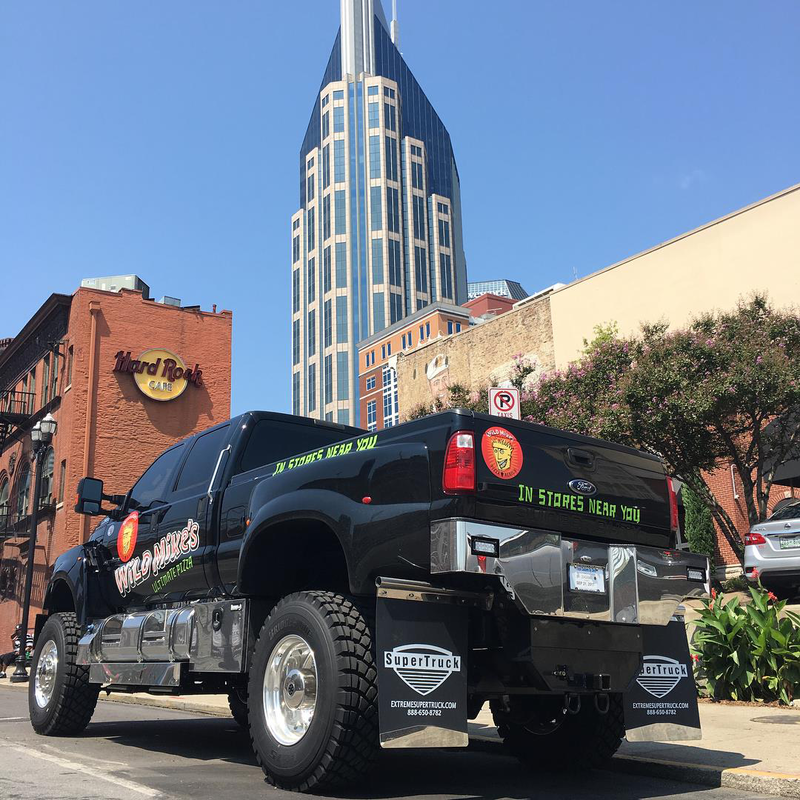 From silos to truck wraps, the Wild Mike’s name has been thoughtfully placed everywhere possible. 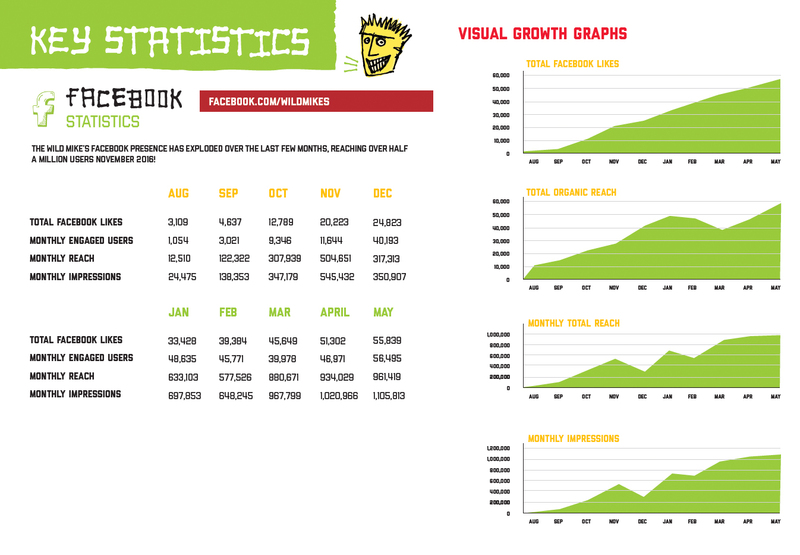 Every month, Eris provides Wild Mike’s with comprehensive reporting that details how its social campaigns, regional advertising, and website traffic are performing. It is essential for Wild Mike’s to record its marketing results so we can refine our strategy to optimize output. 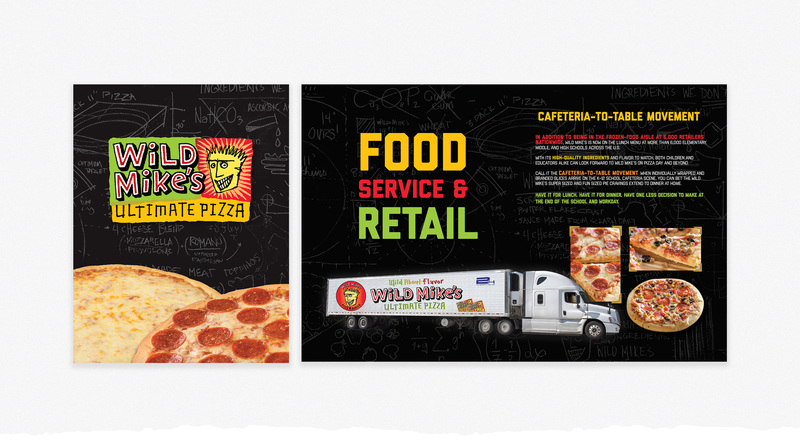 Over the course of a year, Wild Mike’s has seen a very steady increase in marketing results. View our case study to get more in depth numbers and results on our combined marketing efforts. Wild Mike’s marketing strategy relies heavily on advertising. 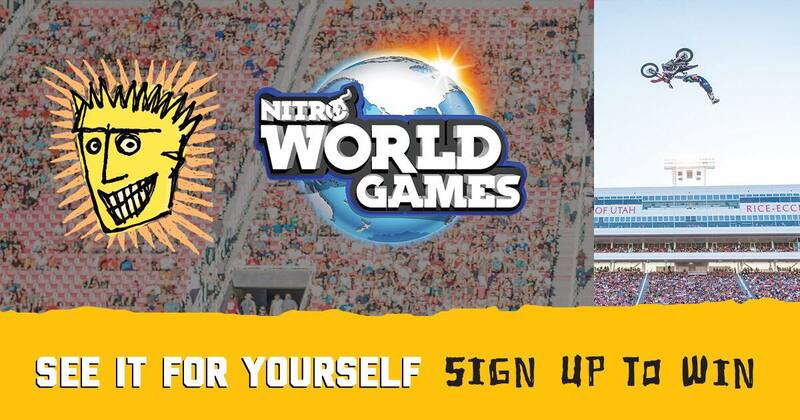 From social media to sporting event sponsorships, Eris has helped Wild Mike’s design and implement its advertisements across the U.S.
Wild Mike’s teamed up with Nitro Circus to become an official sponsor of the Nitro Circus world games, an action sports event watched by thousands. 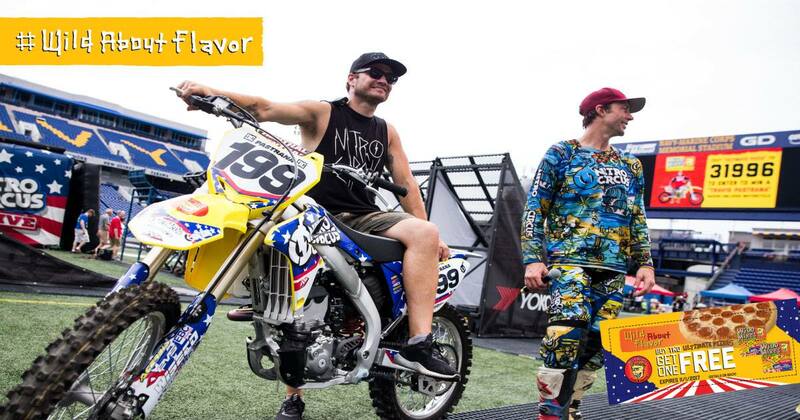 Eris helped launch a giveaway for a Travis Pastrana dirt bike. 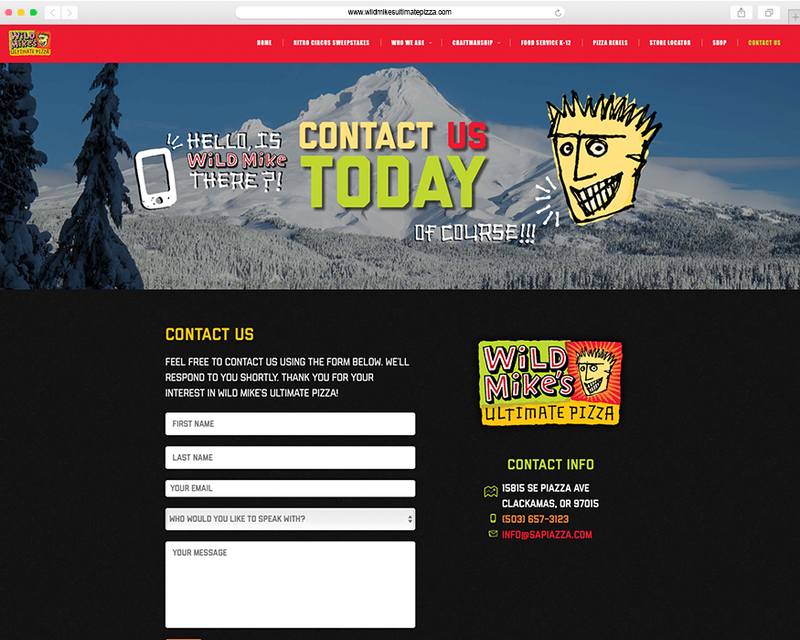 We created landing pages on the Wild Mike’s website to capture sign-ups, as well as custom coupons, social media advertisements, and flyers.